Keysight Technologies, Inc. (NYSE: KEYS), a leading technology company that helps enterprises, service providers, and governments accelerate innovation to connect and secure the world, announced that SoftBank has chosen Keysight's 5G network emulation solutions to characterize and validate new 5G New Radio (NR) mobile devices intended to operate on the Japanese mobile operator's 5G network. SoftBank selected Keysight's 5G test solutions, including the company's 5G NR network emulations solutions, based on the UXM 5G platform for radio frequency (RF) performance validation of new 5G mobile devices in over-the-air (OTA) test environments. Keysight's solutions comply with the latest 3GPP Rel-15 standard allowing mobile operators, and their 5G mobile device suppliers, to address new technical challenges and accelerate deployment of 5G technology across sub-6GHz and mmWave frequencies. Keysight delivers comprehensive over-the-air (OTA) test capabilities by combining network emulation and measurement capability with anechoic chambers, such as Keysight's Compact Antenna Test Range (CATR), which is based on the indirect far field test methodology approved by 3GPP. 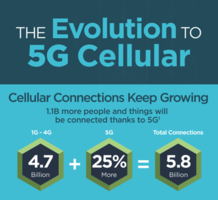 Keysight's industry-first 5G end-to-end design and test solutions enable the mobile industry to accelerate 5G product design development from the physical layer to the application layer and across the entire workflow from simulation, design, and verification to manufacturing, deployment, and optimization. Keysight offers common software and hardware platforms compliant to the latest 3GPP standards, enabling the ecosystem to quickly and accurately validate 5G chipsets, devices, base stations and networks, as well as emulate subscriber behavior scenarios. Additional information about Keysight's 5G solutions is available at www.keysight.com/find/5G.